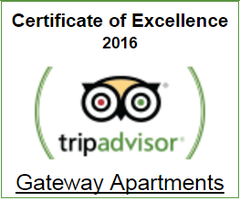 Welcome to Gateway Serviced Apartments Leeds. We are pleased to offer you quality accommodation and an experience which you will never forget. Whenever you plan to visit Leeds you will find many Self-Catering Apartments and Aparthotels Leeds, but there is something else Leeds has to offer and that is us - Gateway Apartments, your own Apartment Hotels, and Serviced Apartments. Hence, we want you to fully explore the city and enjoy food and rich culture of Leeds. “All our serviced apartments and apartment hotels are fully furnished, offering you the best Self-Catering Apartment option. If you are the travel enthusiast and visiting Leeds for the first time then Serviced apartments and aparthotels could be your first choice than other alternatives such as bed and breakfast. All Gateway Serviced Apartments offers more space and a home away from your home. You can book your stay for few days to many months. Gateway Serviced Apartments are designed to cater your specific need of long stays in a unique way. We facilitate guests with spacious living rooms, well-equipped kitchens, beautifully adorned bedrooms with king-sized beds, steam and sauna baths. Why you want to stay in Hotel again when Gateway Serviced apartments offers more space and freedom to cook whenever you want. There are loads of shops, Malls and nice restaurants to keep you entertained during you stay in our Aparthotels. Gateway Serviced Apartments are in the heart of Leeds City Centre and are within few minutes walking distance of major destinations such as Train Station, University and Shopping Malls. Gateway Serviced Apartments always offer great discounts to business travelers and long stays. Whether you are alone or with family with kids you will find everything you desired at Gateway Serviced Apartments Leeds. So, visit us and explore Leeds vibrant culture, nightlife, designer outlets and theatres. Gateway Aparthotels & Hotels Apartments will always have a range of perfect accommodations available for you in Leeds City Centre. For the ease of serviced apartments in Leeds OR for the need of self-catering apartments in Leeds city centre, we have got all to cater your need. For business trip or holidays, for one night short stay or for month’s long stay, we are there whenever you need us. Our staff will look after you from the day you make your booking. And it’s easy to book our serviced apartments & aparthotels; you just need to go to our site or google gateway hotel apartments in Leeds. So make yourself at home in our self-catering apartments with fitted kitchen specifically designed to create a large, airy & well planned living area. In our serviced apartments, we believe and guarantee the best night sleep you will ever have.